Mohamed Awadalla is an international hotelier with over three decades of experience. He has worked with leading global hospitality brands including Mövenpick, Hilton and Rotana. After completing his studies at the German Academic Institute for Hotel Management, Mohamed began his career with the Swiss hotel group, Mövenpick Hotels & Resorts. Moving to Hilton International, he ran the travel trade division with responsibility for 12 properties, to become Rooms Division Manager and then Director of Business Development. His reputation for operational excellence saw him recruited by Rotana Hotels Management Corporation where he went on to head up various properties as a General Manager. 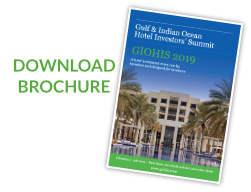 In 2007, Mohamed joined the hospitality division of a regional investment company as Area Vice President, and in 2012 co-founded TIME Hotels where he took up the position of Chief Executive Officer. 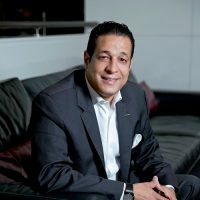 Today, with overall responsibility for the company’s Resorts, Hotels, Hotel Apartments, Express Hotels, Residences and Motels, Mohamed’s remit is to spearhead future development and drive the commercial success of TIME Hotels’ rapidly expanding portfolio across the Middle East and Northern Africa.